You might have a beautiful home with a great listing price, but if people can’t find it then how are they to know it’s for sale? Today’s real estate market is competitive, and it takes a lot more than sticking a sign out front and hoping that someone notices. 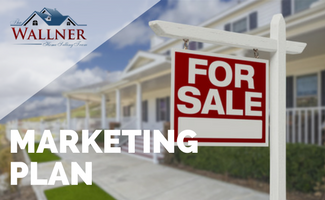 When you work with The Wallner Home Selling Team, you’ll receive a personalized marketing approach to get your listing in front of prospective buyers. If you’re ready to take the next step towards getting your home SOLD, then our team of St. Louis selling experts are here to help. Send us a message today, or keep reading to find out more about our strategic home marketing plan. Your home could have beautiful upgrades, a great backyard, be close to schools. But, if it’s priced much too high, then you’re going to have a hard time finding a buyer who’s willing to pay that much for it. St. Louis County is a tough market. Timing and price are everything. If your home is priced too high, buyers will look right past it in the listings. If it’s too low, then you’re selling yourself short. We well-priced home isn’t just a good way to get it sold, it can actually earn multiple offers. As the offers come in, you could very well see the price of your home increase with the exchange of offers, back and forth. To figure out what your home is worth, we take into consideration what homes in the area have recently sold for and the basic features of your home, such as how many bed and bathrooms it has, the age, approximate square footage, and general condition. This gives a good starting point where we can refine it even further with an in-person assessment. When you’re ready for your home to hit the market, we’ll go to every length to make sure that your listing makes an impact. More than 80% of buyers are looking online first for their home search. So, it’s only natural that your home should immediately placed on the MLS, the industry’s standard listings service, to ensure it’s accessible across the web. From there we’ll promote it on social media, schedule an open house, and have print materials produced and distributed. Need your home sold yesterday? We’re so confident we can sell your home quickly, that we’ve made it a guarantee. Learn more about our Guaranteed Sold program now! 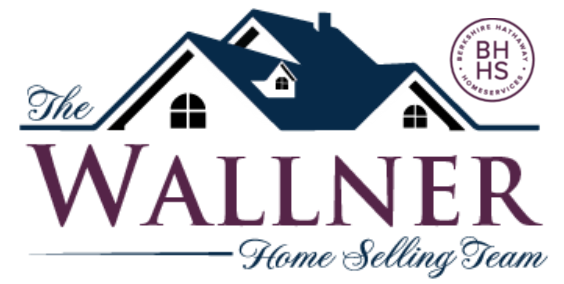 The Wallner Team has helped hundreds of families in the St. Louis area sell their home for top dollar. Your home is likely your greatest investment. When it’s time to part ways, get the value you deserve with the care and professionalism of our team. If you’d like to discuss your options, contact us anytime to find out more.